Prime Time Big Band is excited to announce the multi-talented Matt Catingub is joining Big Band Brunch as a special guest Saturday, May 26 at the historic Ironwood Stage and Grill. Call 403-269-5581 today to save your seat at the Ironwood Stage & Grill. 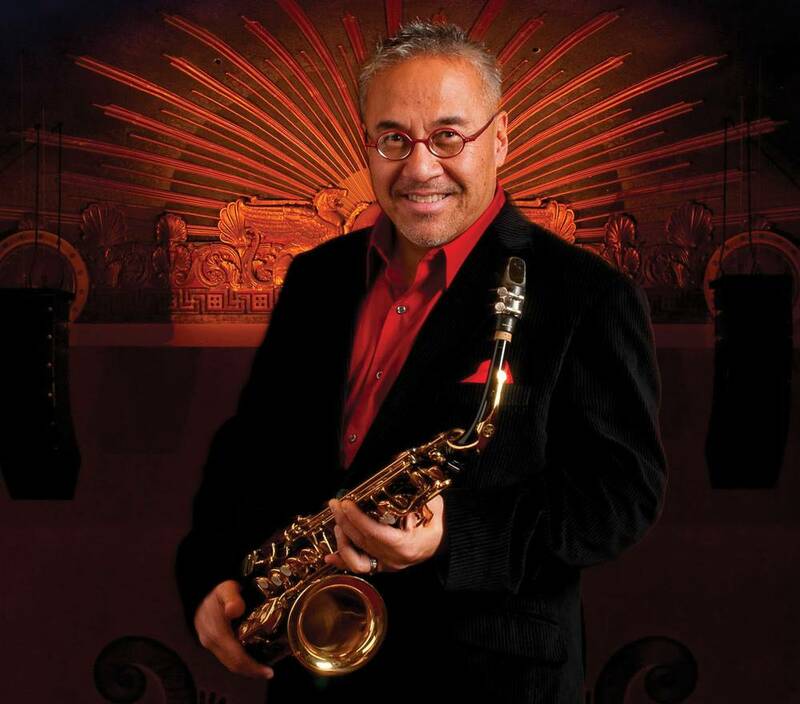 Catingub is a saxophonist, woodwind artist, pianist, vocalist, conductor, composer and arranger. Matt is the Artistic Director and co-founder of the Macon Pops in Macon, Georgia, and recently the Artistic Director and Conductor of the Glendale Pops In Los Angeles, the Hawaii Pops in Honolulu, Hawaii, as well as the Festival Pops Conductor of the New Hampshire Music Festival. He has also held the Principal Pops Conductor positions of the Honolulu Symphony, the Hawaii Symphony, and the New Mexico Symphony. Prime Time Big Band leader Dave Jones says having Catingub as a special guest is a true highlight, joining the remarkable roster of past guest performers – tenor sax legend Pete Christlieb, trumpeter Guido Basso, bandleader Doc Severinsen, trumpeters Allen Vizzutti and Jens Lindemann, saxophonist PJ Perry, and trombonist Al Kay. Born to parents of Polynesian island descent, Catingub is the son of the great jazz vocalist Mavis Rivers. His career includes playing with jazz legends Dizzy Gillespie, Thad Jones, Mel Lewis, Sonny Stitt, Ruth Brown, and Kenny Burrel. Catingub joined the Louie Bellson Big Band and later formed the Matt Catingub Big Band, with Rivers as vocalist, and recorded several critically acclaimed jazz albums with his talented mother. Catingub has guest conducted for some of the most significant symphony orchestras in the US, including the Nashville Symphony, the Saint Louis Symphony, the Florida Orchestra, the Pacific Symphony, the Cincinnati Pops, and the Symphonies of Columbus, Hartford, Omaha and throughout Canada and Japan. Catingub has conducted for artists such as Diana Krall, Yes, Al Jarreau, Gladys Knight, Kenny Rogers, and numerous others. The well‐rounded musician wrote music and appeared on screen as band leader for the George Clooney film, Good Night and Good Luck, which was released on the Concord Records label in September 2005. Matt made an on‐screen appearance as the leader of the band, he created all of the arrangements and played tenor sax on the CD. The Soundtrack for Good Night and Good Luck won a Grammy Award in 2006. Prime Time Big Band is celebrating its 24th year and boasts the city’s most celebrated and respected jazz musicians led by Dave Jones. The band is one of Canada’s only regularly performing big bands and has called the Ironwood Stage and Grill home for the past 18 years, playing alternate Saturdays for the popular Big Band Brunch.